On early Christmas morning near the city of Gosford, Australia, the first sighting occurred. According to testimony from former Air Traffic Controller Lindsay Carter, it was a quiet morning as he headed north from Sydney. Peering out his front windshield, Carter saw about a half-mile away, a silver, metallic object in the sky. The object was crossing from South to North. Another eyewitness to the object was housewife June O'Hare, who saw the UFO move over the water. The object was surrounded by lights. By New Year's Eve, numerous calls were made to local authorities reporting a UFO, according to Sgt. Bob Wenning. All of the callers reported a huge, ball-shaped object with bright lights on the bottom. 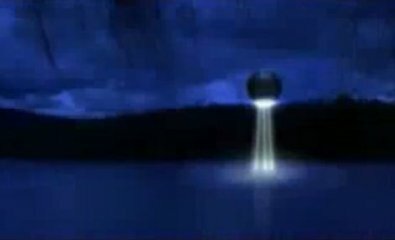 Witnesses observed the UFO sucking up water from the lake. Other witnesses claimed to have watched the unknown object move over the waters for as long as 15 minutes. They stated that they had never seen anything that looked like what they saw that day. Eyewitness Margaret Howe watched the same object. She reported lights coming up out of the water, and the object moving over the water. She could hear the sound of rushing water as it was being sucked into the mysterious craft. After a moment or two, the UFO returned the object to the lake. The "Weekly Sun" newspaper reported the incident. The article spawned numerous callers to phone the newspaper, saying that they too, had seen the UFO. The group of callers represented a vast cross section of the citizenry; lawyers, policemen, teachers, and more. Some of the witnesses described several beams of light emitted from the craft's bottom to the water, with the surface of the water highly disturbed. Other callers reported being awakened by a loud sound, with their pets acting strangely. The police were baffled by the reports. UFO researcher Moira McGhee launched an investigation with eyewitness reports, and calls to any and all possible launching sites for airplanes, helicopters, or any flying craft. These inquiries brought no evidence as to the origin of the UFO. The appearance of a UFO moving over the waters near Gosford in 1994 has never been explained. Visit the UFO Casebook channel on Youtube.